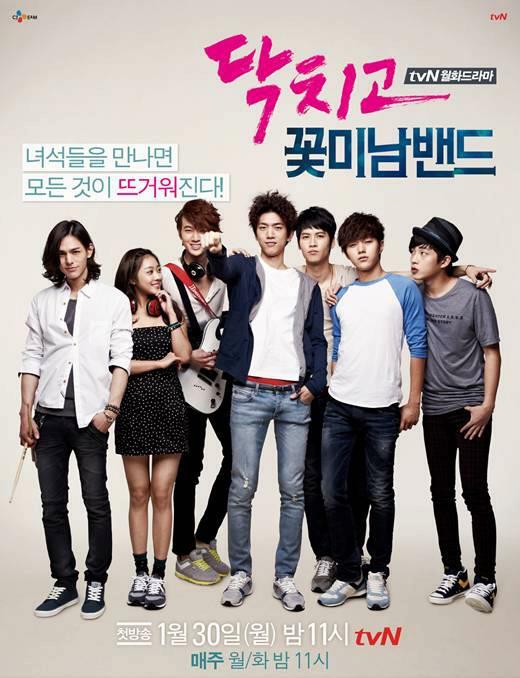 Shut Up Flower Boy Band offers “Eye Candy” actors, good music and a great story of friendship. 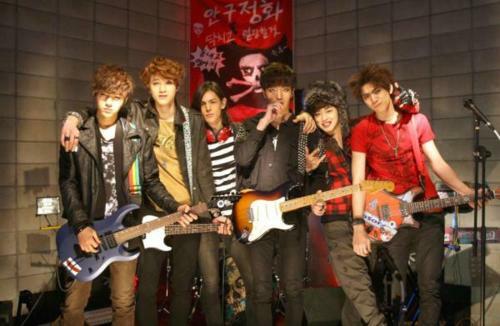 Eye Candy is an underground rock group led by Joo Byung Hee along with his members: Kwon Ji Hyuk, Lee Hyun Soo, Kim Ha Jin, Jang Do Il and Kim Min Suk. The school that they’re currently attending is closing soon and they’re thinking if they should still attend school or not. Meanwhile, Joo Byung Hee is planning to write a new song but could not find any inspiration. One day, he spots his “muse” and he fell in love at first sight. He suddenly has the inspiration to write a song. Byung Hee also ran into a confrontation with the rich students from Jungsang High School and are members of the band called Strawberry Fields. He learns that all six of them are going to be transferred to the same school. Coincidentally, he found out that his muse, Im Soo Ah, goes to the same school as well. Byung Hee decides that Eye Candy members shall attend school to compete with the rival band as well as get to see his muse everyday. What obstacles are waiting for Byung Hee and Eye Candy? 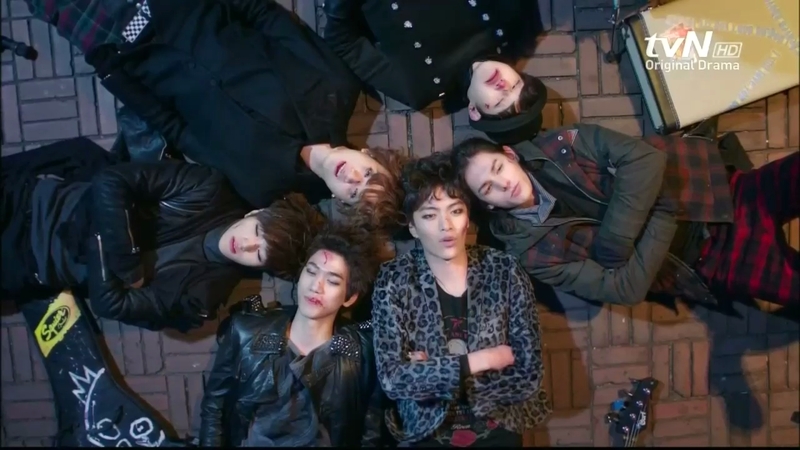 A bunch of flower boys in a rock band? This was what made me watch the drama. The poster seemed so exciting and fun. I love guys who play instruments so it was a major plus. Finally, a drama where we can see them doing something; not just guys walking around and flaunting their money. The first two episodes were great. I love all actors especially the leader. I couldn’t stop watching. Until third episode came and we see the leader say bye bye. It’s rather shocking to have someone leave like that. I wanted to stop watching the drama because I think it would be no fun without him. But, I promised myself that I would finish a drama that I have started no matter how boring or draggy it is. I can’t decide if staying and watching until the last episode was a good choice or not. The plot was unique because of the gloomy start. The writers opted for a “climax” during the start of the drama. Byung Hee’s death was a big impact to the band; and from there they had to start from scratch. I love how friendship was the main theme of the drama rather than music. I did not expect that friendship were really important for these kids. Their friendship was tested as they encountered all sorts of problems and troubles. As we get to the latter part, it gets even sadder as they fight against each other due to misunderstandings. One thing that I didn’t like about the drama was where they make two characters misunderstand each other by hiding the truth. This kind of situation is very common already and I wished they could have thought of something different. The last few episodes actually didn’t entice me to finish the drama. I was worried on how they will end the drama nicely. The characters in the drama were not likeable ones. There’s a certain point wherein I hated all the characters except for the one playing the keyboard. The chemistry between the two leads is lacking. I could not see their sweetness and they seemed awkward to each other. I didn’t like how these two got together in the story. The “love” story in the drama was something that I didn’t anticipate. I mean, Soo Ah was supposedly Byung Hee’s muse. How could Ji Hyuk do that to his friend even if he isn’t alive anymore? I know real life stories wherein the girl’s boyfriend was her best friend’s ex-boyfriend. It makes Ji Hyuk and Soo Ah look bad even if Byung Hee and Soo Ah were not an official couple. The characters itself and the character developments weren’t likeable. My one and only wish for this drama is to make a spin-off drama special please. I want Joo Byung Hee to rise from the dead; or in nicer terms, I want to see him alive. Can you tell me that that night was just a dream and it’s not reality? Major major talent wasted for a guy like Lee Min Ki. The character Joo Byung Hee was a major success. The lead girl is also passive and quiet and she doesn’t push Byung Hee away. It would be nice to see their friendship grow into love. How I wished that they could build it up from there. In other school-based or teenage dramas, we often see the two lead characters bickering and fighting with one another; but still fell in love with each other in the end. I think this would be different and unique. Good feelings and their feelings are mutual right from the start is something to look forward to. Shut Up Flower Boy Band writers, can you hear me? lol Even if I know that the chance of a spin-off is like 0.00001%, it wouldn’t hurt sharing my opinions right? Byung Hee and Soo Ah’s chemistry was way better. Lee Min Ki as Joo Byung Hee — Whenever there’s a group of handsome men, we’d always be excited to choose a bias, be it in K-pop or K-dramas. 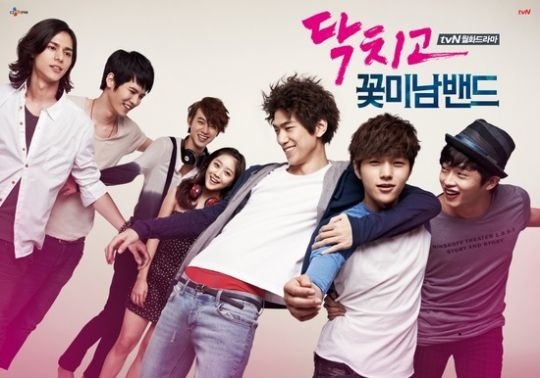 It’s the same case with this drama where there are 6 cute guys to choose from. 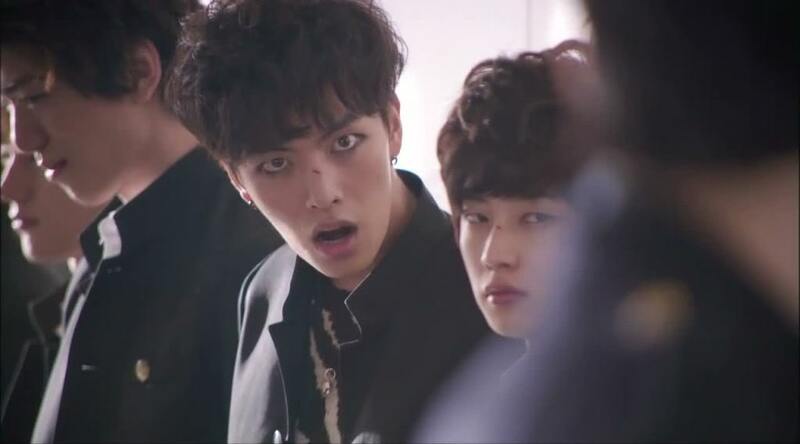 From the first episode, I instantly laid my eyes on Byung Hee. He just stood out from the rest since others were awkward. You will also notice that he has more acting experiences than the rest. Biggest mistake of the writers was to let him die. During times like this, I wished they chose a less-exprienced actor to portray the role because Lee Min Ki was so perfect as Jo Byung Hee. If only they chose a less attractive actor, the lesser the pain, you know. It’s a pity that Min Ki was just a guest star in this drama. Talent wasted. I simply fell for him in this drama. I haven’t seen him in other dramas; he’s definitely an actor that I will look forward to in the future. Sung Joon as Kwon Ji Hyuk — I got slightly confused because I didn’t realise that he was the main lead actor in this drama. I really thought that I Need Romance 3 was his first lead drama. I knew him from INR3 and Gu Family Book, but I think this kind of role like Kwon Ji Hyuk really suits him the most. Even if Ji Hyuk was not a likeable character, his decisions were right despite given hard choices to make. I must say that he has improved a lot with regards to his acting. 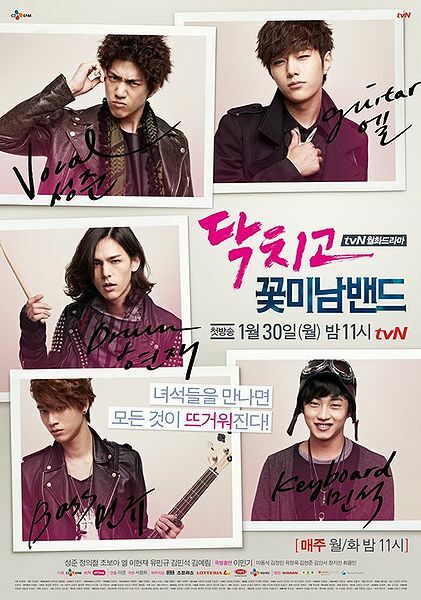 In this drama, we can see a slightly less experienced Sung Joon, as he was sometimes overshadowed by his fellow bandmates but he literally shined in INR3. Jo Bo Ah as Im Soo Ah — While her biography says that she rose to fame due to this drama, I was thinking that maybe some better actress could portray the role. Im Soo Ah is very soft-spoken and she’s really a damsel in distress. Something is lacking with Jo Bo Ah’s acting. Her passive reactions and lack of emotions are getting on my nerves. I don’t know if it’s because of the limitations of her character’s personality or was it because of her lame acting? I did not expect a female lead character to be so helpless yet so selfish. I loved her from the first two episodes, but as the drama progressed, her character started to get annoying. Kim Myung Soo / L of Infinite as Lee Hyun Soo — L is not my favourite member of Eye Candy nor my favourite in Infinite, but he definitely shines the most especially when Eye Candy officially debuted. 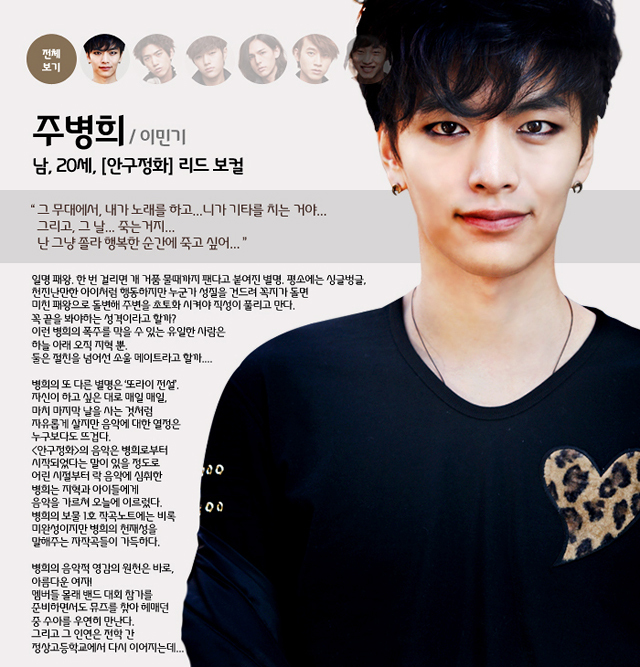 Hyun Soo was the favourable member since he’s familiar with the know-hows in the entertainment industry. He’s so natural when responding to tv hosts. I guess being a member of an idol group in real life helped him?! 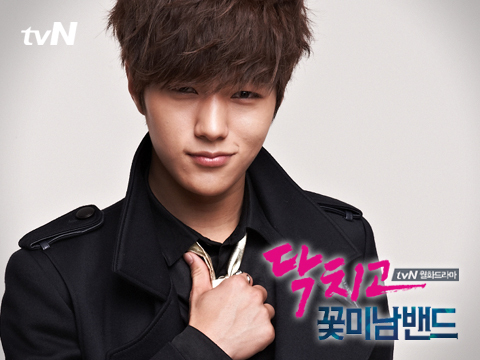 All in all, L suits this role as Hyun Soo and I can really feel the “Ice Prince” in him. I really think that Lee Hyun Soo was a role made for him. 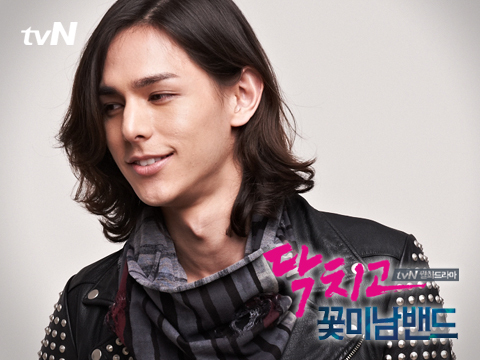 Lee Hyun Jae as Jang Do Il — Lee Hyun Jae looks like a foreigner and doesn’t look like that he could speak Korean at all. I’m still amazed at how he could speak Korean perfectly without flaws or some weird accent. He speaks the language like a native. Seeing his biography, he doesn’t have much to show except for the fact that he’s a drummer in an underground Korean band. If I’m not mistaken, he’s also half Korean. He doesn’t look like one though. Among Eye Candy members, he seems to be the only member who can play the instrument really well. Yoo Min Kyu as Kim Ha Jin — Since Byung Hee is out from the group, I have no choice but to choose a new bias or favourite. Guess what? I chose Kim Ha Jin. I really think Yoo Min Kyu is also attractive and can be considered a Flower Boy. He’s indeed a ‘flower boy’ because he actually won in the reality program where they choose the best Flower Boy. Even if I didn’t quite liked the attitude of his character during the latter part, Yoo Min Kyu did his best to portray the role. It’s weird though because he looked different when he dyed his hair from blonde to black; I almost couldn’t recognise him anymore! 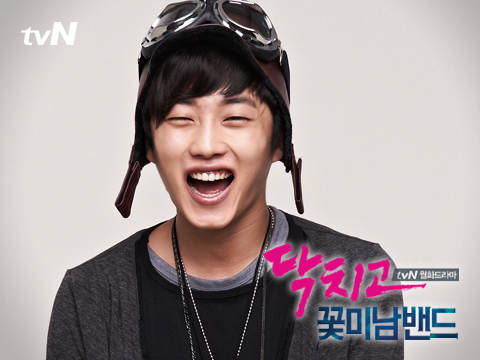 Kim Min Suk as Seo Kyung Jong — A group can’t be complete with a joker right? Seo Kyung Jong’s duty in this group was sort of a mood maker. He’s also the only one who’s from the province, particularly in Busan; which is why he used satoori or Korean accent when speaking. He’s also the shortest and falls short in being a “Flower Boy”. But hey, I love Kim Min Suk! I think he was perfect for the role as Seo Kyung Jong. His character was also the least hateful one among the band. This guy definitely needs recognition. If directors are looking for satoori speaking guys, then they should hire Kim Min Suk. It’s not the ending that I expected but still a good ending with each of them walking their own paths. Their friendship still stands strong despite of all things that happened to them. If I were to end the drama though, I wished that they chose to remain as a band and leave that company. As a leader, Ji Hyuk should be the one to cheer for the band, but instead he’s the first to quit. I respect his decision though even if it was hard. I wished that they just accepted the offer and start anew in Japan. There were some things that I also did not see it coming. The part where Hyun Soo was sort of getting jealous when Ye Rim was asking the producer if he has time and she was inviting him out. Everyone was hating on Ye Rim for being too clingy. I prefer Hyun Soo to focus more on his career rather than think about love. I also did not quite get the part of Ji Hyuk’s last conversation with his mom. It seemed that their talk still doesn’t have any closure. Ji Hyuk still wouldn’t accept her. Aside from these, I think that the rest of the parts were fine. 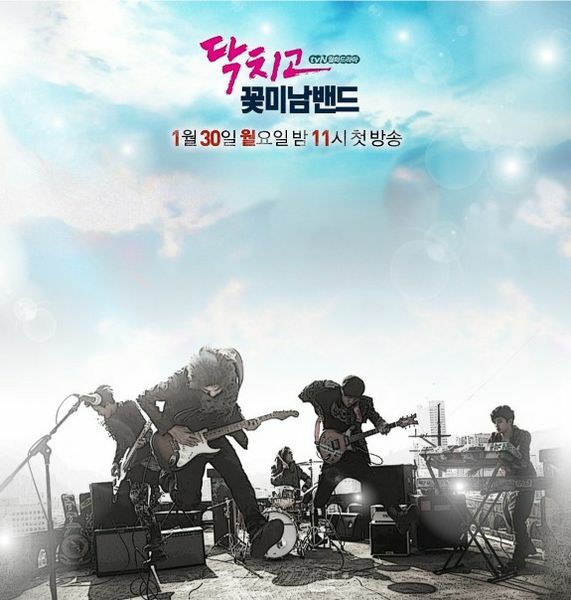 The soundtrack contained few tracks than the usual Korean OSTs. Nonetheless, these 10 tracks were all great. What’s even greater was that the actors personally contributed by singing for the soundtrack. “Love U Like U” sung by L and Kim Ye Rim is a good duet and contains sweet lyrics. I must say even if Ye Rim’s role was hateful and annoying, her voice is so unique and nice to hear. The song’s tune is also easy to remember. Those who missed Lee Min Ki will get a chance to hear his voice. He sang “Not in Love” which I think is a catchy song even if his engrish isn’t perfect. This song was originally from a foreign band. The arrangement for Min Ki’s version was better in my opinion. I love it~! 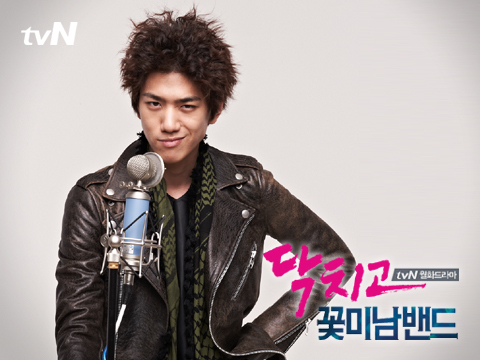 “Wake Up” sung by Sung Joon is a true rock song. 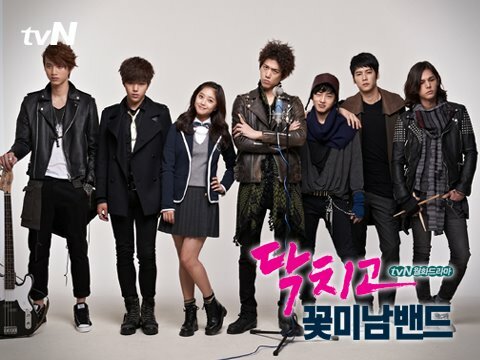 This was supposed to be Eye Candy’s second single which they have composed together in the drama. I loved the dark concept of the song and the addictive chorus. “Jaywalking” is my favourite track in this soundtrack. 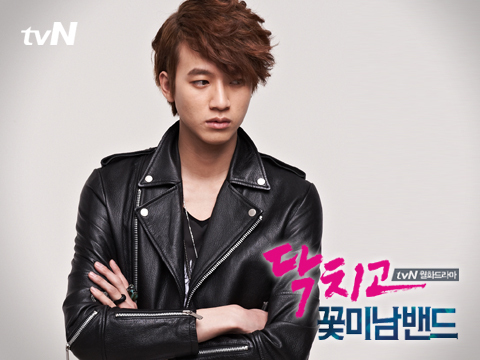 In the drama, it was a song that was composed by Byung Hee and his muse inspired him to write the song. Catchy, upbeat, and fun simply represent Eye Candy’s colour. I also loved the loud guitar sounds and Hyun Soo’s solo guitar part was simply amazing.